Back on the market, seller financing fell through. Welcome to 7721 Secretariat Court! This charming 2-story home situated on a private, cul-de-sac lot boasts 1,686 sq.ft., 3 bedrooms, 2.5 baths, Trex extra wide front porch, concrete front walkway, maintenance free vinyl siding and vinyl wrapped windows, Pergo hardwood flooring, leaf guard gutter system, fully fenced in rear yard (6 ft. privacy fencing) and attached and detached storage shed. Updated kitchen with custom maple cabinets, granite countertops with oversized under mount SS sink, track lighting, under cabinet lighting and center island with breakfast bar for two. Spacious family room with exposed rear staircase, neutral color pallet and Pergo hardwood flooring. Formal dining room with Pergo hardwood flooring and a custom wet bar area boasting granite countertops and a dual zone wine fridge! Large master bedroom with neutral carpet and paint, walk-in custom closet and attached bathroom with garden tub. Move-in ready! Conveniently located to shopping, dining and interstates! SchoolsClick map icons below to view information for schools near 7721 Secretariat Ct Chesterfield, VA 23112. Home for sale at 7721 Secretariat Ct Chesterfield, VA 23112. Description: The home at 7721 Secretariat Ct Chesterfield, VA 23112 with the MLS Number 1903981 is currently listed at $221,000 and has been on the Chesterfield market for 76 days. 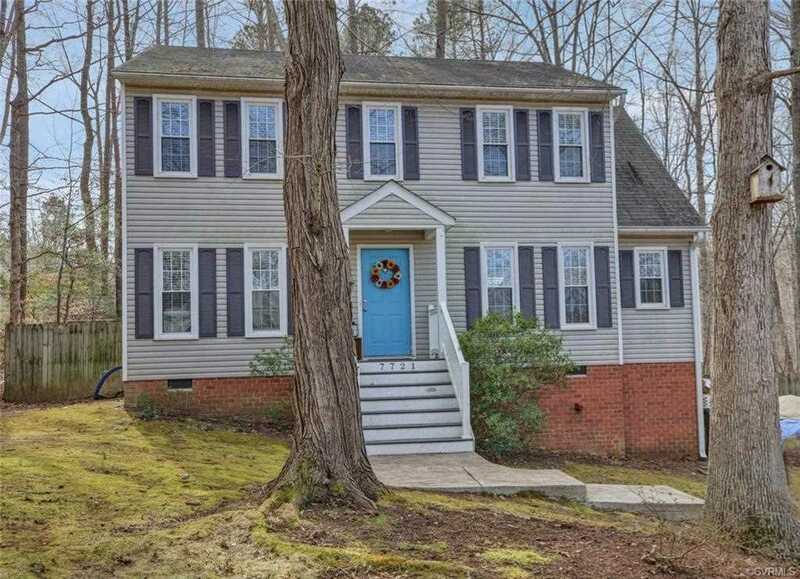 You are viewing the MLS property details of the home for sale at 7721 Secretariat Ct Chesterfield, VA 23112, which is located in the Deer Run subdivision, includes 3 bedrooms and 3 bathrooms, and has approximately 1638 sq.ft. of living area.